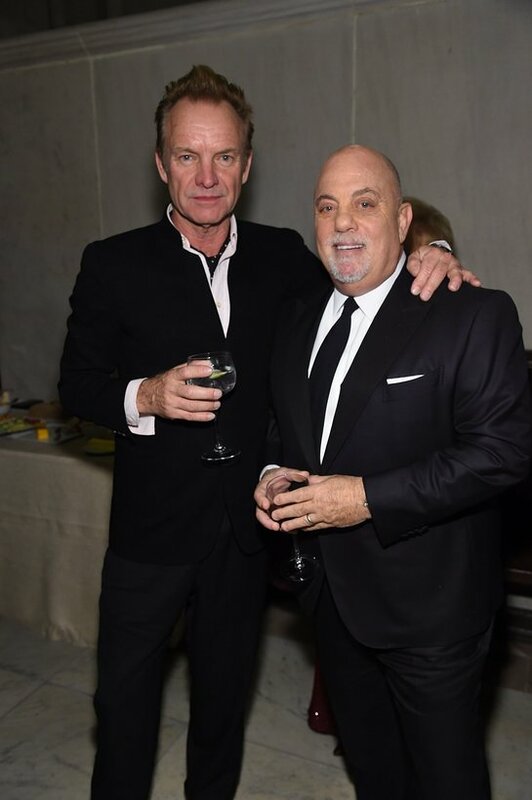 On Tuesday, November 7, 2017, the Elton John AIDS Foundation (EJAF) raised more than $4.4 million at its 2017 annual New York Fall Gala to support HIV/AIDS prevention, treatment, supporting services, and advocacy programs across the United States, the Americas, and the Caribbean. American Airlines, BVLGARI, Robert K. Kraft, Leonard and Judy Lauder Fund, and Bob and Tamar Manoukian served as the Presenting Sponsors of the benefit. The star-studded evening was held at the Cathedral of St. John the Divine in New York City. 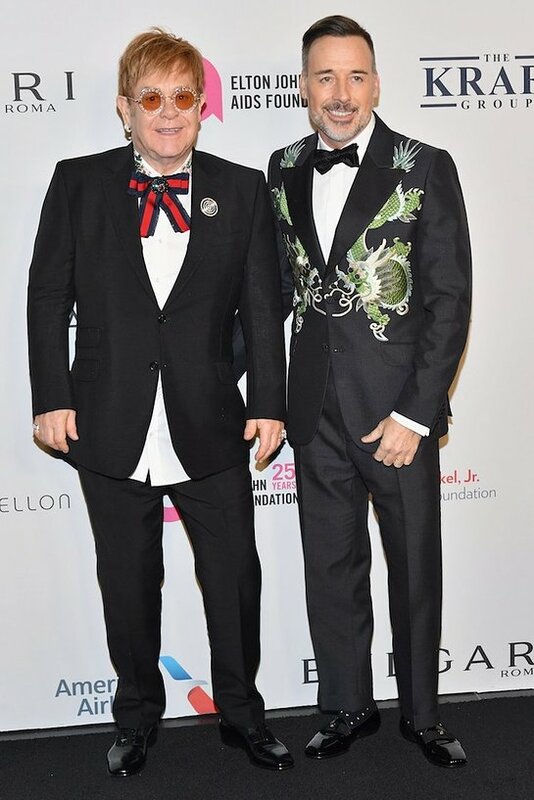 Commemorating the Foundation’s 25th year since it was established by Sir Elton John in the fall of 1992, the evening’s program was devoted to honoring Elton for his leadership, commitment, and enduring vision as the Founder and driving force of the Elton John AIDS Foundation. To start off the evening, Aileen Getty, Ambassador for The Elizabeth Taylor AIDS Foundation and Founder of the Aileen Getty Foundation, presented Elton with the 2017 Elizabeth Taylor Legacy Award and announced that the Aileen Getty Foundation and The Elizabeth Taylor AIDS Foundation would join together to provide $250,000 in funding for the fourth year of EJAF’s joint grant-making partnership with The Elizabeth Taylor AIDS Foundation. Emmy and Tony Award-winning actor Neil Patrick Harris hosted the event. Throughout the evening, President Bill Clinton, New York Governor Andrew M. Cuomo, and Ford Foundation President Darren Walker offered personal remarks in tribute to Elton’s leadership and the remarkable achievements of the Elton John AIDS Foundation. Grammy Award-winning violinist Joshua Bell and Tony and Grammy Award-winning musical theatre star Heather Headley from the original cast of Broadway’s The Lion King offered musical accolades. The evening closed with a special concert performance by the Queen of Soul, Aretha Franklin. Jeanne White-Ginder, the mother of teenage AIDS activist, the late Ryan White, also paid tribute to Elton and presented the Foundation’s special 25th year Enduring Vision Award to him. The award, designed by BVLGARI in association with London-based design duo Campbell-Rey, was formed from six sections of natural and semi-precious stones creating a sculptural monolith. Constructed from amethyst, blue granite, green granite, Giallo Siena marble, orange onyx, and Rosso Levanto marble, the trophy’s colored sections represent the international reach of the Elton John AIDS Foundation’s work and the coming together of people from all over the world to end AIDS. The inclined shape references the progress made in research and prevention, as well as acknowledging that there is still a mountain to climb before HIV/AIDS is eradicated. During the evening, guest auctioneer Alexander Gilkes of Paddle8 conducted a live auction featuring such one-of-a-kind items as an Ahmet Ertug print, a Massimo Vitali photograph, the late Herb Ritts’ iconic photograph “Elton John with Top Hat,” a Pete Souza photograph from the Obama White House years, a BVLGARI Divissima necklace, a Will & Grace on-set experience for two including a set tour, live taping, and meet and greet with the cast, two tickets to a live taping of Saturday Night Live, two tickets to the sold-out show Bruce Springsteen Live on Broadway, and a signed Marina Abramović print. Through the impeccable credibility and reputation attained based on 25 years of extensive work, EJAF has emerged as a significant leader in the field of HIV/AIDS. The Foundation advances public dialogue on critical and controversial issues related to the epidemic and challenges misguided policies and attitudes that block progress in ending the epidemic. Proceeds from the New York Fall Gala will help support these efforts, as well as EJAF’s grant-making initiatives across the U.S., the Caribbean, and the Americas.